Ruffles, Rose and a Special Booking Code! Falling in love with all things Rose and Ruffles and this Forever21 dress is a favorite! Although minimal, the ruffles are a sweet addition to the already very feminine A-line cut-- a style that I grew up loving. If I am not wearing a figure flattering wrap dress or something off-the shoulder, you will most probably find me in comfortable mom jeans or pretty little dresses like this one. 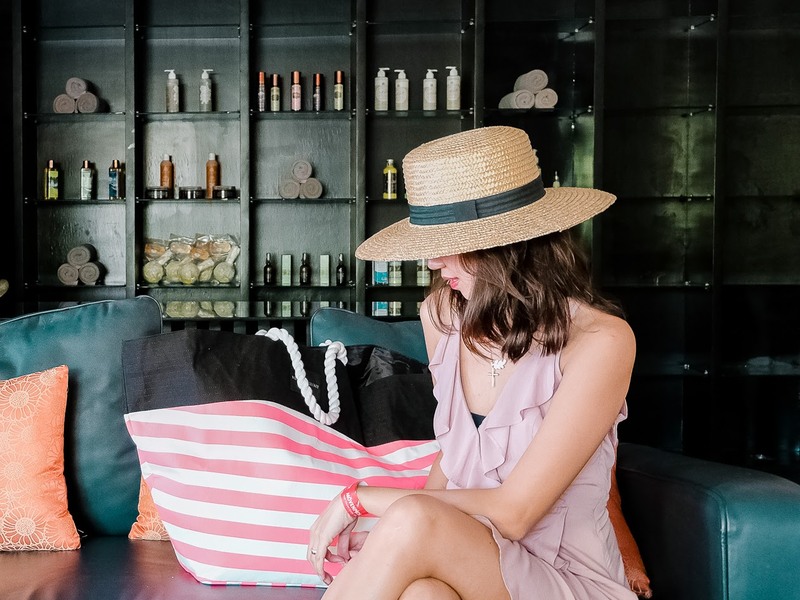 I actually wore this to a fun-filled girls day out with my Cebu Fashion Bloggers loves at the very picturesque Mövenpick Mactan Hotel Island Cebu-- a whole day of relaxation and sun-worshipping worthy of the Kardashians. And I don't even like the Kardashians. HAHA! So I realized that most of my previous OOTD posts I've linked here were all taken at the same place-- so I'm giving you (5) reasons why Mövenpick Hotel Mactan Island Cebu tops our staycation list plus a special booking rate!